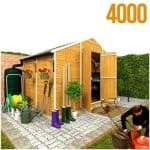 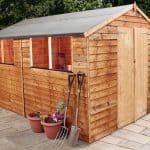 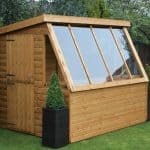 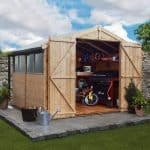 At 10’ x 10’, the Shiplap Tongue and Groove Workshop Shed is as wide as it is long, which provides a great deal of flexibility when it comes to manoeuvring and storing. 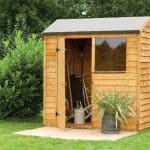 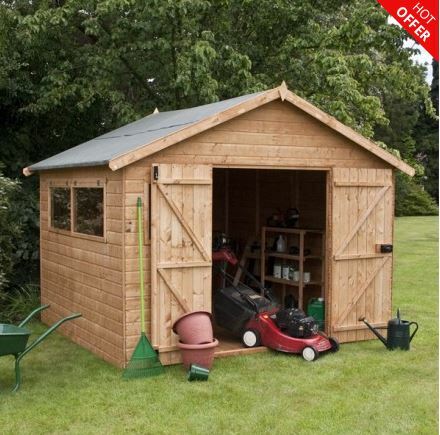 Furthermore, the double doors that are used to access the shed provide plenty of room to get in and out of the shed, especially whilst trying to move bulky equipment and tools. 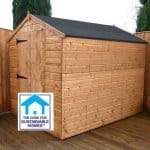 The durable Baltic sourced pine cladding complements the tongue and groove design, helping to give strength, whilst ensuring a long life for the shed – as does the heavy duty mineral felt that is used for the roof.